Graeme Orr is a Professor of Law at the University of Queensland, Australia. He has authored and edited 7 books on the regulation of democracy including The Law of Politics and Ritual and Rhythm in Electoral Systems, and written some 75 chapters and scholarly articles. 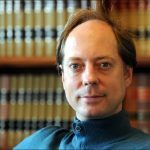 Graeme has been a visiting scholar at institutions such as UCLA and NYU, was the International Editor of the Election Law Journal, and is presently the Australian correspondent for The Annual Register. He also is a regular commentator on the law of politics.